The year began when the Cubs lost out on the Masahiro Tanaka derby to the New York Yankees. At the time, I called it a “Charles Atlas moment” for the Cubs and all of MLB. Tanaka showed great promise in the games he did pitch, but the rest of MLB was able to beat him a few times, and the Cubs even handed him his first loss on May 20. So there was a little bit of payback, but it was a blow to a team that had vowed to not be outbid for Tanaka’s services. The Cubs signed Jose Veras to be their closer for 2014, and what did they get for their $3.8 million investment? How about 12 appearances, 64 batters faced, an ERA of 8.10, and a WHIP of 1.725? Toss in a release date of June 10, and you’ve got a certified bust on your hands. 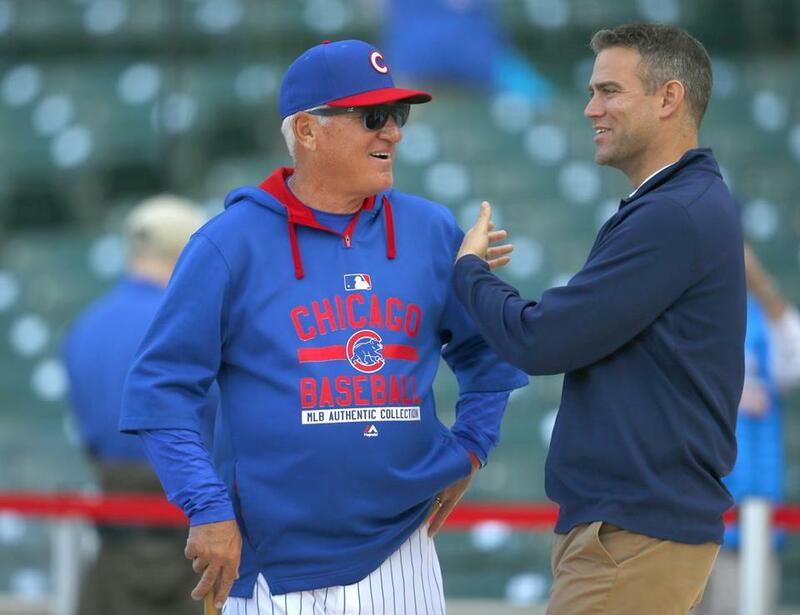 In the middle of February, as spring training was just getting underway, I wrote a piece that claimed “there’s simply no way Chicago will be competitive this year.” The old adage that “hope springs eternal” didn’t hold for me this year, and — at the risk of tooting my own horn — I was proven to be absolutely correct. The Cubs were shut out on opening day in Pittsburgh and, despite a record-breaking first two days of the season by Emilio Bonifacio, had an appalling 1-for-27 RISP in those two games. Bonifacio came back to earth eventually, and he was dealt to Atlanta at the trading deadline. But the tone had been set, offensively, in the very first series of the year. The last time any team trailed the Cubs in the NL Central was April 12, when the Cubs found themselves a game ahead of Cincinnati. Over the final 150 games of the season, the Cubs were all alone in the basement of their division. For all the talk about Anthony Rizzo and Starlin Castro‘s All-Star seasons, and Jake Arrieta‘s emergence as a top-of-the-rotation starting pitcher, and Jorge Soler‘s brilliant debut in St. Louis in August, the fact remains the Cubs never climbed out of last place. The 1,477 strikeouts the Cubs recorded last year were the most in the majors, as well as the most in the long history of the franchise. And the lack of plate discipline showed when they became the first team to record 1,000 more strikeouts than walks in a single season. Javier Baez and Mike Olt were the primary strikeout culprits, but every Cubs player — save for pitcher Dan Straily — had more strikeouts than walks in 2014. The Cubs played a special game against the Arizona Diamondbacks on April 23 to mark the 100th birthday of Wrigley Field. Fans were given cupcakes at the game, and throwback unis were the order of the day. And with a 5-2 lead in the bottom of the ninth, the game seemed to be going the Cubs’ way. But a meltdown by closer Pedro Strop — including what Cubs announcers called a “pop fly triple” by Aaron Hill — sealed a loss of staggering proportions. It was the most embarrassing of all moments, at least until the Tarpgate fiasco happened. On August 19, as the nation was in the grip of the ALS Ice Bucket Challenge, Nature dumped a different kind of bucket on Wrigley Field, and the Cubs grounds crew failed miserably. The eventual World Series champion San Francisco Giants protested the decision to call the game, and they prevailed. The game was finished on August 21, and the Cubs came out on top. But the image of the blue tarp and the flailing grounds crew was the best metaphor one could hope for of the Chicago Cubs’ 2014 season. 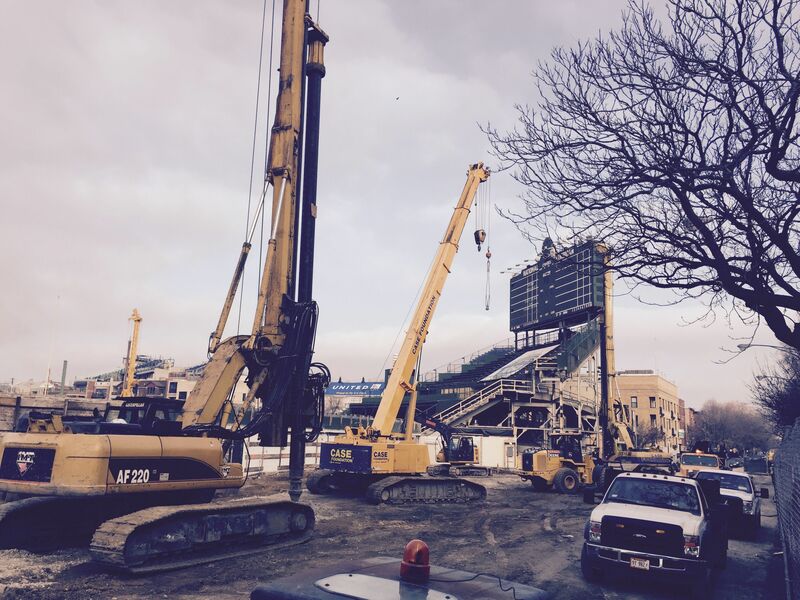 After the season ended, the long-treasured bleachers came down, and the area around the ballpark will be a construction zone until further notice. The team and the ballpark are being retooled in the offseason, and hopefully 2014 will be good for a laugh someday. But it surely wasn’t much fun to live through it. Here’s hoping that 2015 begins an upward trajectory for the Cubs, for first time in many seasons. “Wait ’til next year” finally has some meaning, after all. John Axford, Jonathan Papelbon options at closer for Jays?